As customers, we all have our own love-hate moments with customer service. We bombard them with questions and complaints, sometimes expletives even, when we’re unsatisfied with a product or a service. And when things are doing great and we’re happy with the product we purchased, we hardly acknowledge the guy behind the customer support desk. But then there are encounters with customer service that blow our minds. 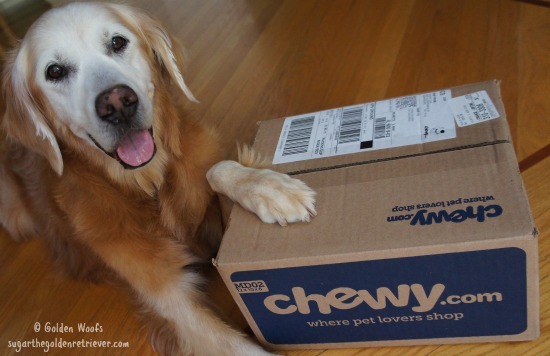 Stories that make us see customer service in a whole new light. Stories that make loyal customers out of random people. Stories that get passed on through generations. We’ve put together a list of legendary customer service stories from 2010 – 2016 —a testament that it’s stories like these that are remembered and shared over and over again. 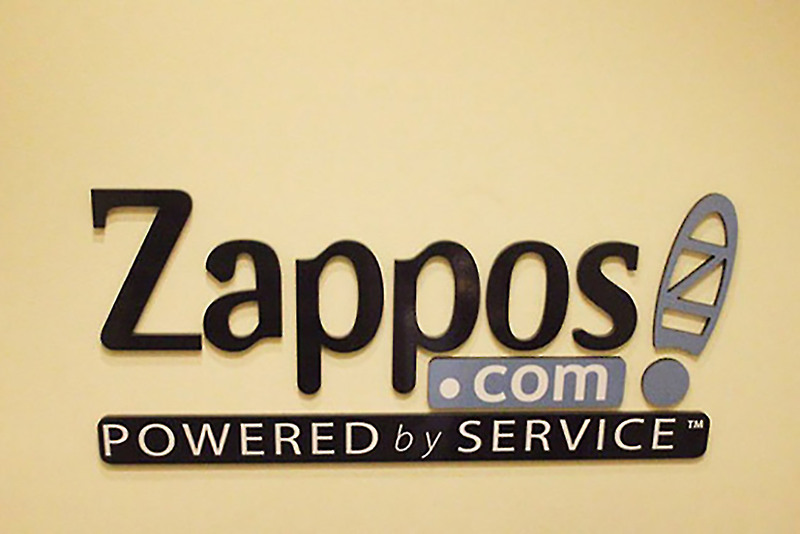 Zappos has long been known for its insane dedication to customer service, in fact, we could have an entire post dedicated to Zappos’ customer stories alone. But this particular story from December 2012 set the record for being the longest customer support call ever, lasting 10 hours and 29 minutes. 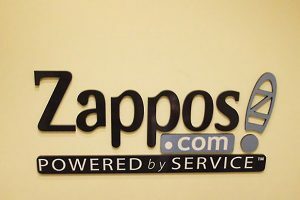 What the Zappos representative and the caller discussed for over 10 hours will remain a curious case to the rest of us (reports said they were talking about how it’s like to live in Las Vegas); what we know for sure is that the 10-hour phone call resulted to a sale of a pair of Ugg boots, a world record, and a story that will be told for years to no end. A man tells a story that happened 18 years ago. His mother died late on a Friday afternoon and he needed cash to make flight arrangements. The bank was closing and the vault was already closed on timer. 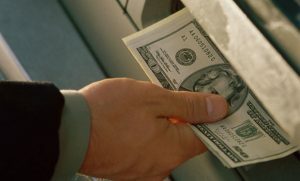 The branch manager learned about the man’s predicament so she let him come in, went out the front door and withdrew $400 from her own ATM to lend to the man. “I know this isn’t as much as you needed but I hope it can tide you over until you can get more.” The bank manager said he could pay her back later. The customer was so grateful that he wrote a letter to the bank’s CEO to let him know what happened. Later on he paid the bank manager the money he owed her, along with a bouquet of flower and a gift certificate for dinner at a nice restaurant. Shortly after that, the kind bank manager was promoted to District Manager. This story happened 18 years ago, but it was recently shared by a blogger, who happened to be the son of the man in the story. Three year old Lily Robinson wrote to Sainsbury’s in May 2011 saying, “Why is tiger bread called tiger bread? It should be called giraffe bread. Love from Lily Robinson, age 3 and 1/2”. Customer Service staff named Chris King kindly replied to the curious 3 year old saying, “I think renaming tiger bread giraffe bread is a brilliant idea—it looks much more like the blotches on a giraffe than the stripes on a tiger doesn’t it?” He explained to the little girl how the bread got its name, “it’s called tiger bread because the first baker who made it a looong time ago thought it looked stripey like a tiger. Maybe they were a bit silly.” He included a gift card and signed the letter “Chris King, age 27 and 1/3.” Lily’s mother blogged about the letters and the story went viral. 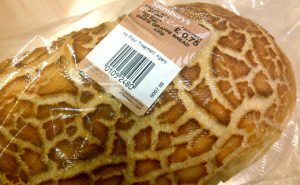 Months later, Sainsbury’s renamed its tiger bread to giraffe bread inspired by the curiosity of its 3 year old customer. Steak lover Peter Shankman was on a late night flight back to Newark when he jokingly twitted his favorite stakehouse, Morton’s Hackensack: “Hey @mortons, can you meet me at Newark Airport with a porterhouse when I land in two hours? K, thanks. 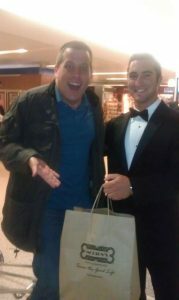 ” Two and a half hours later, Shankman landed, found his driver in the waiting area, and had the surprise of his life. A tuxedo-clad Morton’s Hackensack representative was there holding a paper bag with porterhouse steak, colossal shrimp, side potatoes and bread. Shankman was floored, noting that, not only was he joking when he posted the twit, it must have taken a lot of risks, logistics-wise, for Morton’s to pull it off—including tracking his flight and finding his driver in the waiting area. The story was all over Twitter and social feeds for weeks. And of course, years later, the story still makes it to customer service topnotchers like this. A family went on a vacation at Ritz Carlton hotel and, upon returning home, discovered that their son’s beloved stuffed giraffe named Joshie was missing. The son was distraught to know that he was going to sleep without his favorite giraffe, and the father made a little white lie that Joshie was just taking an extended vacation at the resort. Ritz Carlton’s Loss Prevention Team found Joshie the Giraffe, coordinated with the parents (Joshie’s father explaining to them about the little white lie), and sent Joshie back. The family received a package from the hotel, and along with the stuffed giraffe were some Ritz Carlton branded goodies and a binder of photos documenting Joshie’s “extended vacation” at Ritz. 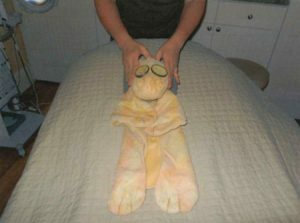 The photos included Joshie wearing shades and sunbathing by the pool, Joshie having a spa treatment, Joshie making friends with other stuffed criters, Joshie driving a golf cart on the beach, and Joshie doing night shift at the hotel’s security monitors. It also included a Ritz Carlton issued ID badge with Joshie’s name, making him an honorary member of the Loss Prevention Team. Joshie’s father shared the story online and noted that Ritz Carlton can count on his family to be repeat customers. James Groccia, 11 year old boy with Aspergers Syndrome, saved up his money for two years to buy a Lego Emerald Night Train set only to find that Lego has discontinued selling. He wrote a letter to Lego telling them how much he wanted the train set, and he received a nice corporate sounding letter of apology. But the story didn’t end there. Few days before James’ birthday, a package arrived with the discontinued train set and a personal letter from Lego, making the boy unbelievably happy. James parents caught his reaction opening the surprise package, and the video immediately went viral. Keone was amazed at how, amid the chaos and 300 people in the breakfast area, a customer service staff noticed that she needed a spoon and brought her one. Keone was so stunned she asked to have an interview with the hotel’s Banquet Manager, asking him about how they train their people. He replied that they “empower employees to think outside the box to create stories worth telling.” Later that day, when Keone went back to her suite and found another surprise. 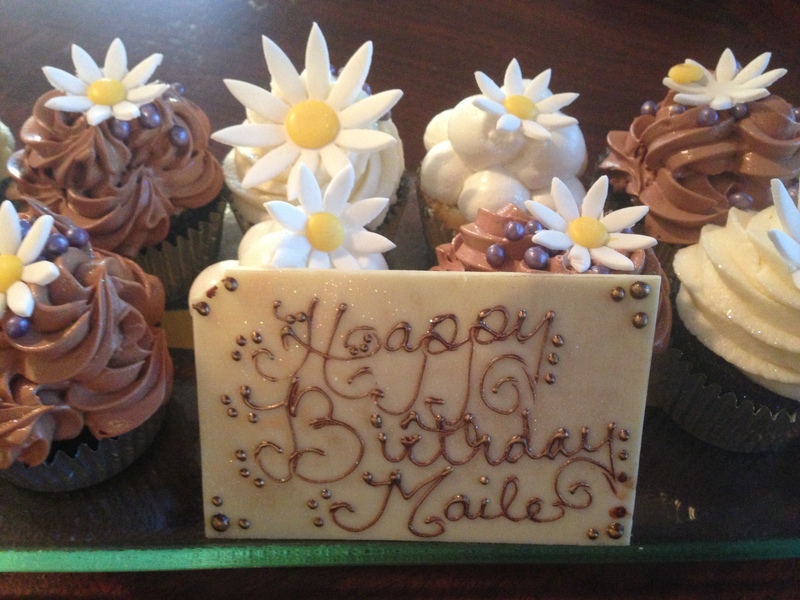 Twelve cupcakes with a Happy Birthday message and card was waiting for her. Christina Mcmenemy has been to Gaylord Opryland hotel for 3 consecutive years, and has grown particularly fond of the clock radios that can be found inside Gaylord’s hotel rooms. It’s a clock radio that also plays soothing music, and Mcmenemy noticed how soundly she would sleep at night every time she stayed at Gaylord Opryland. For years she tried looking for a similar clock in stores, and, not being able to find one, thought that the clock radios were exclusively made for Gaylord hotels. On the third year, Mcmenemy, still unable to find the clock radio from stores, turned to Gaylord Opryland’s twitter account for help. 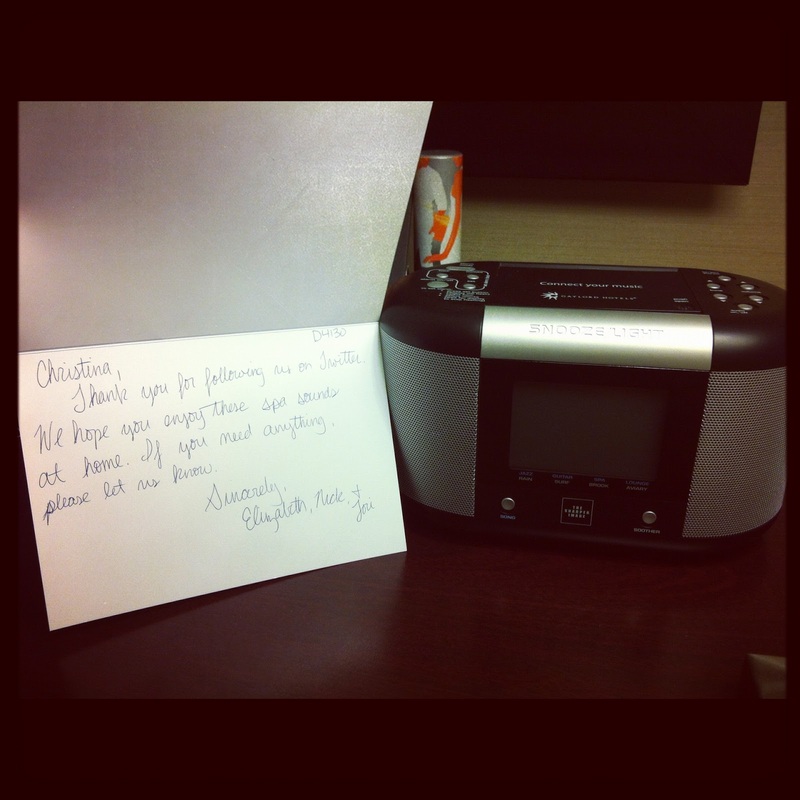 “@GaylordOpryaland Where can I buy this Sharper Image clock radio in my room? None in stores have the spa sounds and I’ve never slept better!” The hotel staff responded and after a few exchanges on twitter, Mcmenemy went back to her room that night with a sweet surprise. A second clock radio sat next to the one in her room’s desk, with a handwritten card that says, “Christina, thank you for following us on Twitter. We hope you enjoy these spa sounds at home. If you need anything, please let us know. Sincerely, Elizabeth, Nick & Tory.” Mcmenemy excitedly shared the story on her blog, professing that Gaylord Opryland has made a lifelong fan out of her. 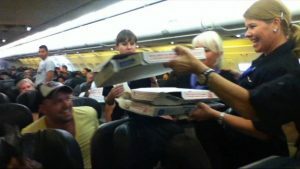 Flight delays or cancellations usually irk passengers, but who can resist plenty of slices of warm pizza from the pilot? Frontier Airlines Airbus A320 pilot, Gerhard Bradner, knew what it was like for a flight to be delayed due to inclement weather. 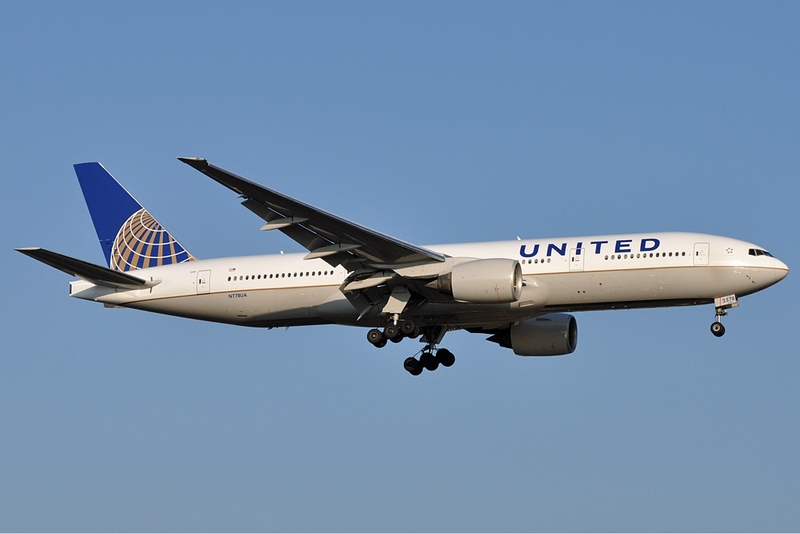 The plane bound for Denver from Washington, D.C’s Reagan National Airport was diverted due to thunderstorms and lightning, so Bradner’s flight 719 was forced to change course at about 6:40 p.m. ET to southern Wyoming and they were stuck there until the storm blew over. Instead of complaining, though, passengers enjoyed the downtime chatting and eating, and they literally took off in high spirits although their flight was several hours late. 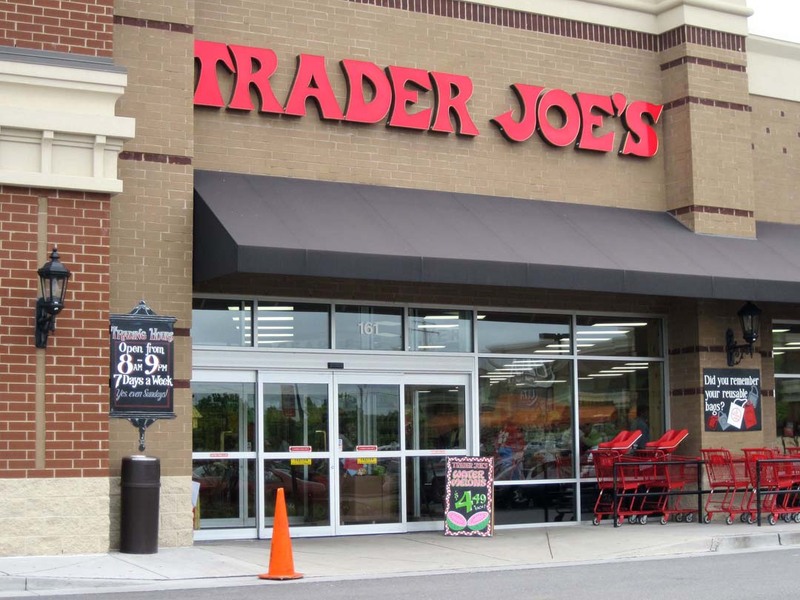 A mother and her special child were at Trader Joe’s one evening to pick up groceries. The child, with pent up energy, was bouncing off the walls and almost ran into an employee. The staff had superb reflexes and was able to dodge the kid by pivoting. The mom apologized, but the employee replied nicely that they were all used to it. In fact, it was almost always like a dance party on the floor. At that point, the employee started dancing and grooving and called on a couple of guys to jam along. He also asked the kid, who was ever so shy at first, to join in on the freezer section party. Pretty soon, he was rocking and slamming. 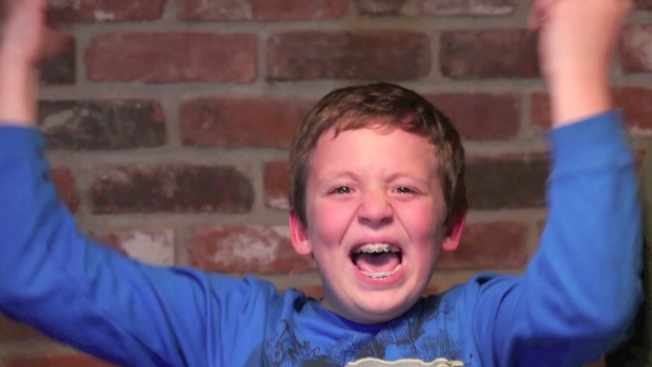 For this kid and his mom, Trader Joe’s made all the difference. People in tech support know that one of the toughest calls to get is from an elderly client. There’s something about technology and age that don’t seem to jive, so when a service rep received a call from an old customer whose Netbook wasn’t working, one would not expect to see this kind of response. The elderly woman had already suffered two strokes, and her netbook was the only way for her to communicate with her daughter and son-in-law who were deployed in Hawaii. The rep said the standard procedure would be to mail the netbook in for repairs, but it would take a while, and at this point, the woman began to cry. The rep, then, bent the rules in her favor by sending her a new Netbook and even helped her set up passwords and account names, and downloaded Skype so she could immediately resume communication with her family. 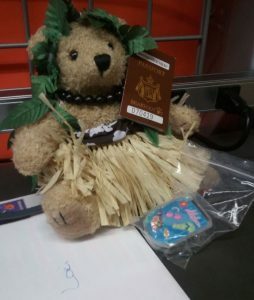 The matter was resolved and the service rep thought that was the end of it, until after a few months when she received a teddy bear with a hula skirt, along with a note thanking her for all she had done. For six-year-old Owen, forgetting his favorite stuffed tiger, Hobbes, was a traumatic experience. 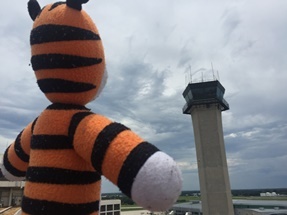 He is his bestest friend in the world, and employees at the Tampa Bay International Airport were more than happy to return Hobbes. However, to make Owen feel better, they took pictures of Hobbes at different places inside the airport and created a scrapbook of his adventures. When Hobbes was finally returned to the family, Owen’s Mom was in tears as she thanked the employees for going above and beyond for her son. McDonald’s just restored people’s faith in humanity one night in the middle of a dinner rush at a Downtown Chicago store. 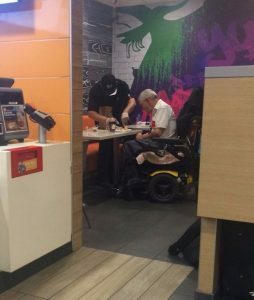 An elderly man in a wheelchair came in, and with great difficulty, placed his food order. Apart from being able to understand what the man wanted, the employee also saw that he had difficulty eating by himself. Customers looked on (we believe some were happy, some were not; because it was the dinner rush) as the employee closed down his register, washed his hands, and proceeded to help the elderly man and cut and eat his food. Customers started taking photos and posted it to Facebook, one of whom also had a paraplegic uncle. This one is for the books, as Bungie Studios is considered as one of the best game developers in the world. But now, they are known for having the best customer service team – ever! It was Christmas time when a father was worried about his son who was scheduled to have liver transplant surgery. Incidentally, the newest release of Halo, the kid’s favorite video game, was set to come out. 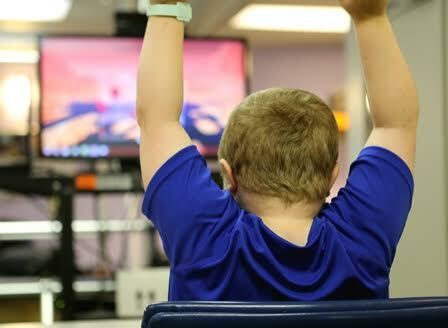 The dad knew how much his son loved the game, so he sent Bungie a request, and the response he got was incredible. Bungie sent a signed get-well card to the boy and built a custom helmet based off of the main character. They also gave him shirts, toys, and some custom art pieces from the game’s designers when they came in for a visit on Christmas Day. Wow! Dalton is a popular bookstore, which is why they have a large following. 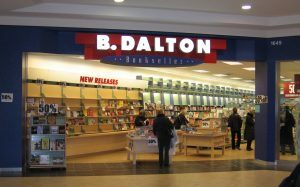 A customer arrived looking a book that her son wanted for Christmas, and after realizing that they did not have the items in stock, the representative also called their competitor, Borders. 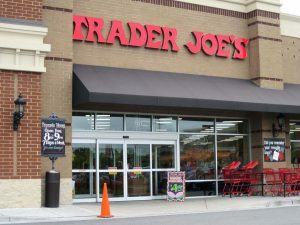 When it was confirmed that Borders did have the item, the staff reserved the book for the client and even printed out directions so she could get to the other store. They may not have made the sale that day, but we’re pretty sure they made a client for life! Missing connecting flights are a fact of life, but when it comes to matters of life and death, some things can wait. Kerry Drake was counting on not missing his United Airlines connecting flight so he could see his dying mom. However, his first flight got delayed, and Mr. Drake all but broke down on the plane. The flight attendants noticed his distress and asked him what was wrong. Without him knowing, the staff had radioed ahead and asked the connecting flight to wait for Drake to arrive. He was able to make the connecting flight and see his mother before she passed away. 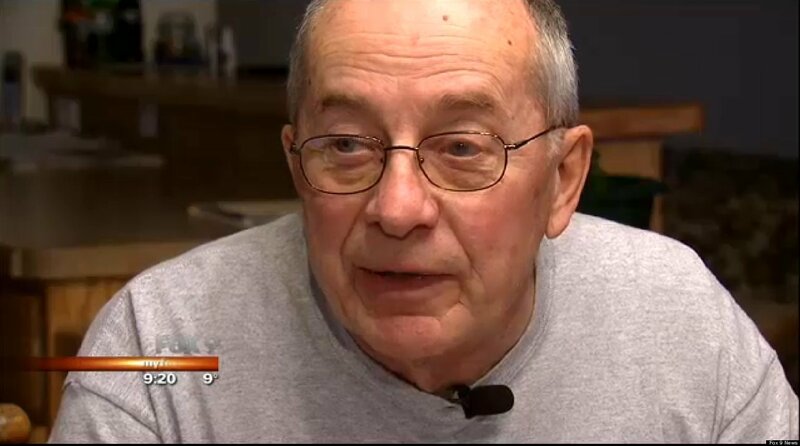 He wrote a tearful letter to the airline thanking them for making this possible. Children believe that the monsters underneath their beds come out at night to harm them. This mother was spared the long pep talk and many sleepless nights by a thoughtful pharmacist from Kroger in Suwanee, Georgia. 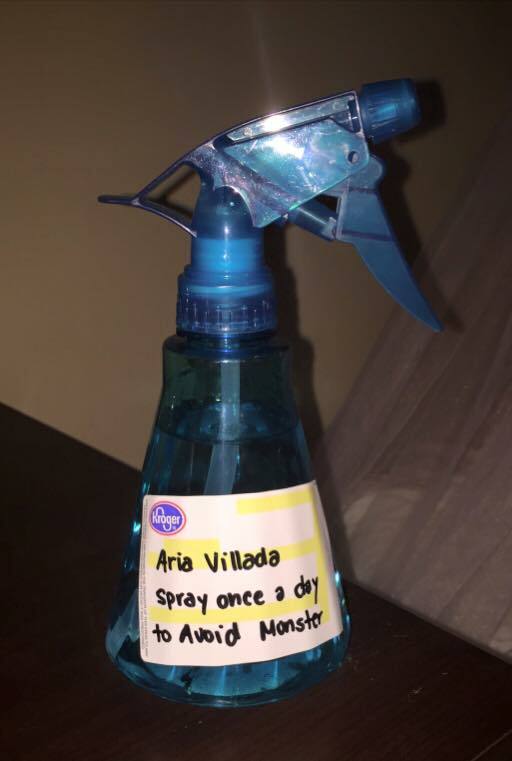 Her daughter, who was moving into a big girl room, received her very own custom potion to ward off monsters from Kroger’s—complete with a pharmacy label and prescription. Apparently, the pharmacist overheard their conversation. The monster spray only needs to be used once a day, and no monsters will ever dare crawl from under the bed. The mother, April Villada, called the token “such a brilliant idea and so very thoughtful” in her Facebook post. Passenger Michael John Mathis was traveling on board the Acela Express, which is the Amtrak service running between Boston and Washington, D.C. He was disappointed when he realized he had lost his pair of Warby Parker reading glasses on the train. Thinking it was lost for good, Mathis replaced his glasses the very next day only to be surprised a few days later when a package arrived for him. 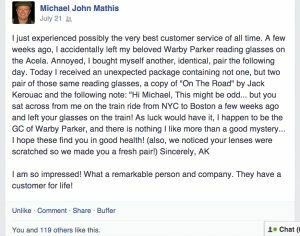 The mail packaged included two pairs of the exact Warby Parker reading glasses – one that was originally his and the other a brand new pair. The package also included a copy of the novel, On the Road and a note. AK stands for Anjali Kumar, the general counsel of Warby Parker. It might sound a bit spooky, after all, how did AK know where to send the package? As it turned out, it was pretty simple. The exact prescription, Mathis’ order the following day, and the unconventional style of the reading glasses enabled the company to put the pieces together. 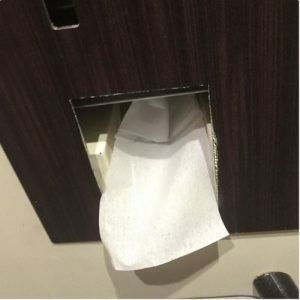 Story #21: Virgin Trains Delivers Toilet Paper, Pronto! In December 2014, Adam Greenwood was on board a Virgin Trains when he needed to go to the loo and do a number 2. Unfortunately, the bathroom stall had no toilet paper left. Moreover, he realized it all too late. Adam went to Twitter and wrote, “I’ve just had a reasonably large poo and there is no toilet roll left on the @virgintrains 19.30 train from Euston to Glasgow pls send help.” Initially, he just wanted to pass if off as a joke. Two minutes later, the official Twitter account of Virgin Trains responded, “@AdamPlaysYT Which coach, Adam?” After giving the coach name, Virgin Trains told Adam that they will send someone down with a toilet paper. And they did! Virgin Trains wins social media after the hilarious incident. One of the best customer service stories came from Alaskan Airlines. A passenger was carrying the remains of a Vietnam War veteran to Seattle, and a flight attendant took it upon herself to sing the Star Spangled Banner to the passengers. What makes this amazing is that the airline did not even publicize this. 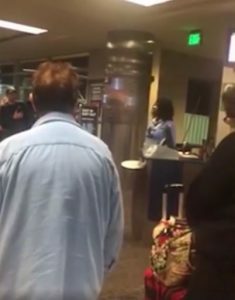 In fact, the video was posted on Facebook by one of the passengers and already has 6,500 shares. You’re sure to have tears in your eyes as well if you watch it. The recent Paris attacks left a lot of people scrambling for a safe place to stay. 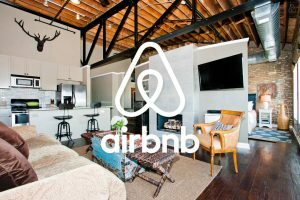 Airbnb extended help above and beyond by becoming a platform for people who were looking for a place to stay, as well families or individuals who were willing to open their homes to those seeking shelter—for free! The above list only proves how important it is for businesses to have a solid customer support in place, and for individuals to practice doing some random acts of kindness. 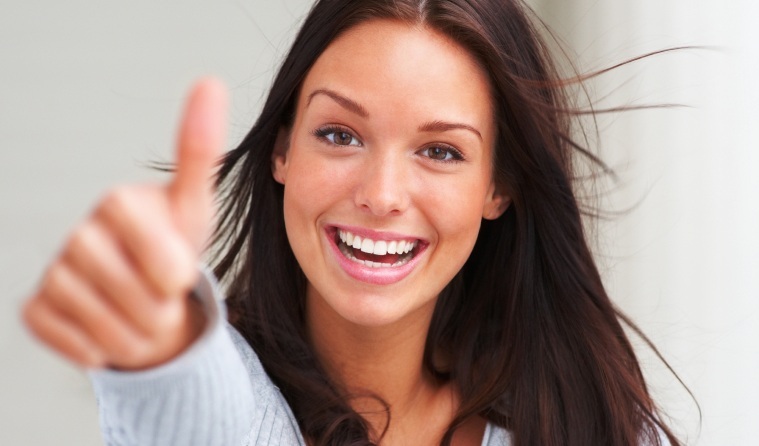 Making customers happy is evidently the single most effective investment any business could ever make. It reminds us the simple truth that one never loses by investing in customer service, and by creating an awesome experience customers won’t soon forget. 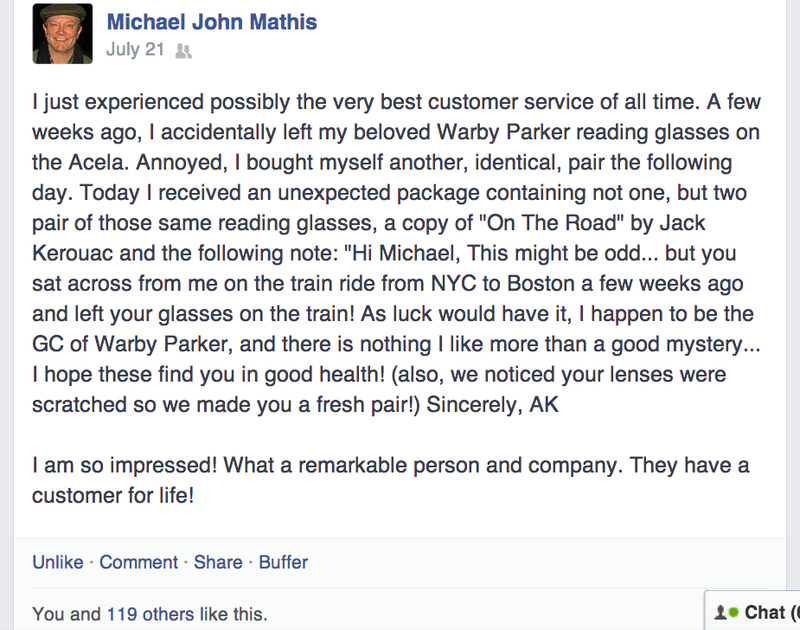 What makes these ten customer service stories amazing? Sometimes it’s just the attitude of the people. Sometimes it’s some creativity. Sometimes it’s the company and the employees having fun. I’d take one each week and share it with the team. What can we learn from each story? What can we take from each story and use in our own business? Let’s not just enjoy these stories. Let’s use these stories to learn how we can take our customer service to the next level. You’re right, Shep. We can learn a million and one things from these stories indeed. This is an awesome story, Karen. Maybe this will make the next amazing customer service stories!